Now that Halloween is past us, many of us will be gearing up for Holiday Entertaining. 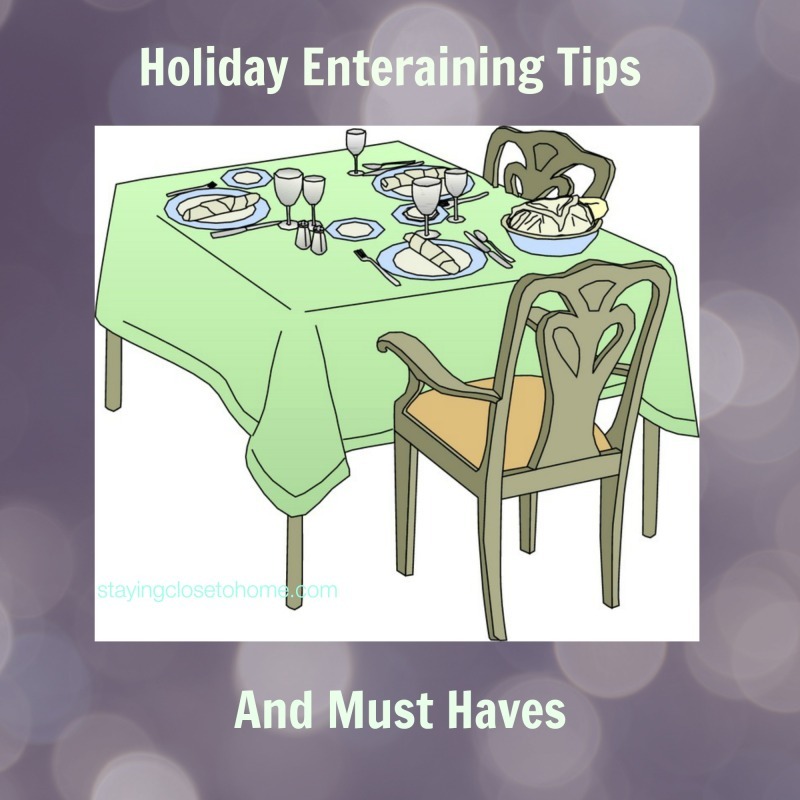 I have collected a few Holiday Entertaining must haves to make this season of hosting parties less stressful. No matter what the size of the event, the most important part is having a plan. Whether it is a menu, caterer, or party games for kids, everyone will have more fun if you are organized from the beginning. You will soon be the hostess with the mostess. Set your serving plates out the night before with a little post it not on it so you know exactly where each dish goes. Check with your caterer to be sure who is supplying the serving dishes. Set the table for dinner parties at least one day in advance This allows you to see if you are missing anything and if you need to find votive or extra plates for your guests. Plan your menu with as many make ahead dishes as possible. This allows everyone to have fun. Here are some products we thought would make the process of entertaining go a little easier as well. 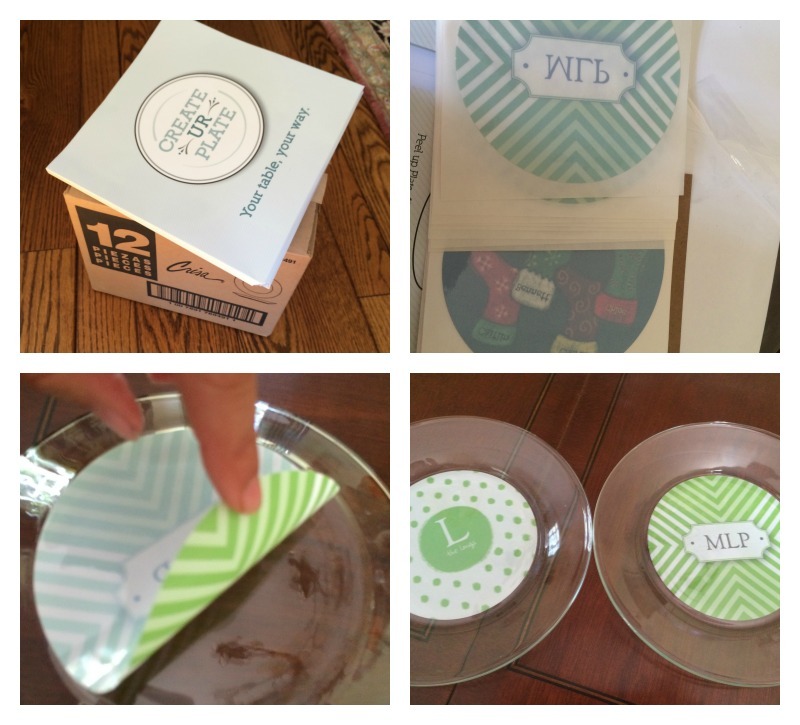 · 7.5″ glass or 7″ plastic salad/dessert/frisbee plate We got three different decals for the small appetizer plates and love them all. Although I love baking during the holidays, it is also nice to have a stash of ready to make cookies in the freezer for unexpected guests or if the person who had dessert for your pot luck does not show up, this has happened to me. You might want to stock up on Jen & Joe’s, the gourmet homestyle cookie dough, is unique as it does not contain any artificial flavors, colors, preservatives, additives, trans fats, or hydrogenated oils—and contains real eggs and butter. Unlike many cookie dough companies, Jen & Joe’s comes in six delicious flavors including Chocolate Chunk, Chocolate Spice, Lemon Drop, Oatmeal Toffee, Snickerdoodle, and—for the adventurous—White Chocolate Wasabi. It comes frozen in individual pieces so you can bake just one, or the whole box. Hide those store bought dips with the Dip-A-Di-Do-Da container covers. Perfect for entertaining. I love having extra gourmet foods on hand during the holidays for both gifts as well as ingredients for easy appetizers. ENTERTAINING TIPS: Salad dressings – Use an olive oil based dressing to add an extra burst of nutrients to any salad. Simply mix in some lemon zest, garlic and a pinch of salt to NAR Gourmet’s Lemon Flavored Extra Virgin Olive Oil to make a classic fresh dressing. Dips and appetizers – Blend olive oil in any dip to create an extra smooth texture, or go basic with some lightly toasted bread drizzled with NAR Gourmet’s Garlic Flavored Extra Virgin Olive Oil and salt to make an impressive starter to any meal. Marinade – Olive oil makes a great addition to any marinade wither its meat or vegetables. Drizzle some over your grilled or baked dish to add extra flavor. NAR Gourmet’s Basil Flavored Extra Virgin Olive Oil and Red Pepper Flavored Extra Virgin Olive Oil, for example, take any dish from basic to brilliant. 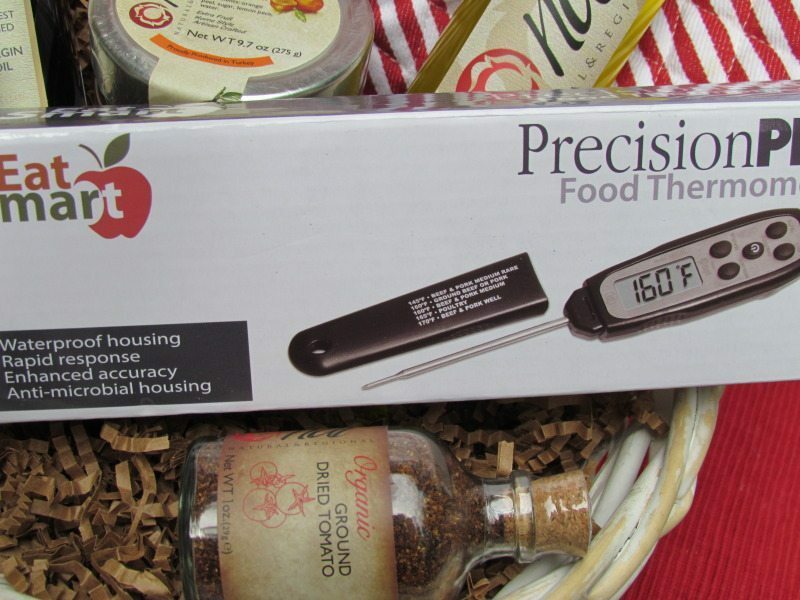 EatSmart designed specifically for professional and home cooks alike. Durable, reliable & easy to use. You never know who has stopped drinking or maybe is Prego so have a few Mocktails Brand non-alcoholic cocktails on hand. It’s a new line of ready to drink, non-alcoholic cocktails created to provide all of your guests with a premium beverage on par with other bar selections. Convenient and versatile, each of the indulgent yet low-calorie flavors can be served with or without alcohol and come in a reusable shaker bottle. 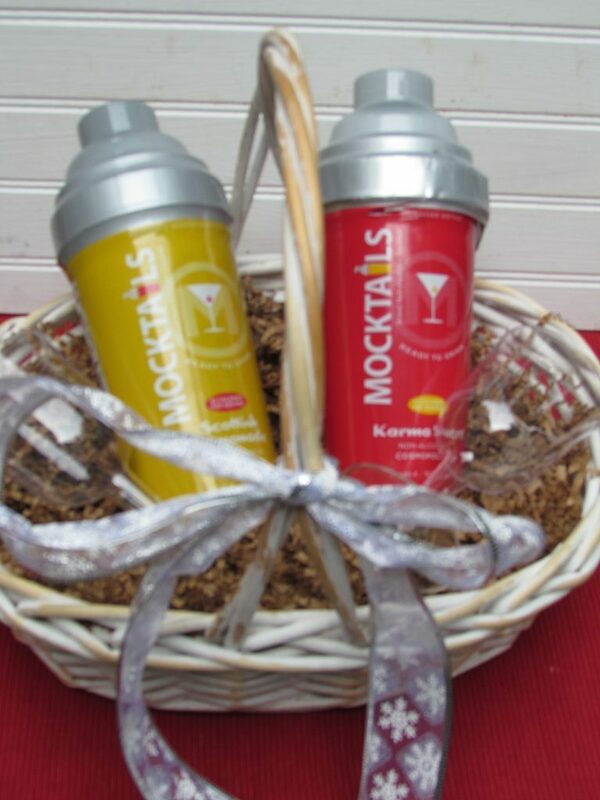 Made with the health conscious consumer in mind, Mocktails Brand cocktails don’t contain high fructose corn syrup or preservatives and are allergen-free, gluten-free, and BPA-free. There are also no artificial flavors or colors. For those folks that enjoy an alcoholic beverage change-up the bar from the typical beer and wine selection and offer up some Cider this holiday season. Woodchuck’s Amber Cans provide a gluten-free option for those with dietary restrictions. 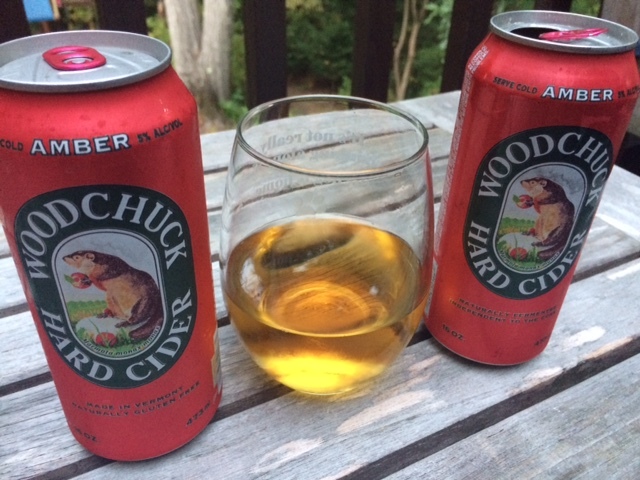 Cider is the trending beverage this season and come in both 12 oz. and 16 oz. cans. What are your favorite holiday entertaining tips or products? Those are some really great tips. I always make sure I have non-alcoholic drinks on hand for those who can’t drink. yes just throw it in the dishwasher but be sure to give you plenty of time b/f the guests arrive so you have a empty dishwasher for the party. Many of the tips you gave here are simple and easy to follow. That makes them great ideas. I have never seen something like that for the plates. That is really neat. I love the idea of personalizing your own plates! how creative! My favorite holiday tip is to have everything written down! It really helps. Oh my goodness, I have never seen the inserts for plates before, those are awesome! These are great tips for entertaining. I have never tried flavors in my olive oil. I think it would be awesome to try them though! My favorite tip is letting s me else do the entertaining. No seriously just be prepared and do much ahead of time that you can. I have to try that customizable Create Ur Plate. What a great list! I need to clean as I go. I use every single fork and spoon when I cook! These are some great tips. I usually do not prepare the night before but I do try to clean up throughout the event so it is not a big mess afterwards. Love me some hard cider! Love these tips for an awesome Thanksgiving Day meal! Good tips for hosting a party. The plates are really cute – perfect for a party. Great tips. I always clean as I go, I have found it saves time and counter space. These are really great tips. I’ve never thought to set the table the night before. That’s a great time saver! What nice ideas, those baskets look like great gifts for Christmas. Great tips! My mom always sets the table the night before, too. Great time saver! I could use these tips for being a good hostess! We always have family at our house for Christmas! Great list. I always try to clean up as much as possible as I go. It is a real time saver.